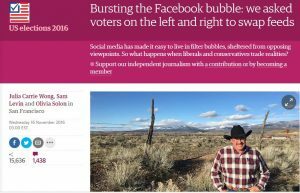 The Guardian Experiment: The Rest of the Story About Me and the Recent Presidential Election — by Todd Macfarlane | RANGEfire! So the cat is out of the bag. I didn’t vote for Donald Trump. In fact, I didn’t cast a vote in the U.S. Presidential election at all. 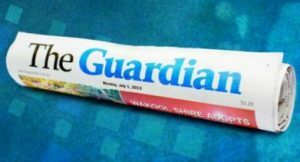 I’ve talked about some of this elsewhere, but part of the reason for my actions in the recent presidential election has to do with the fact that I was a participant in an experiment/study conducted byThe Guardian news organisation. As part of that experiment, because I was viewed by Guardian writers, including Sam Levin, to be “conservative” in my political views, for a few weeks leading up to the presidential election, including the final presidential debate, I was asked to only consider the “liberal” newsfeed they provided to me to receive and consume news and information regarding the U.S. Presidential Election, and then talk about what, if any, effect this had on my views and how I ultimately voted in the presidential election. Since The Guardian’s publication of the article about the experiment, I have had other news organizations, including BBC, contact me to conduct interviews, and discuss both my views, the experiment and the recent election. Before going any further, I want to clarify just a thing or two. First of all, I consider myself to be a political independent, and have been for some time. Although I am currently listed as a Republican, that is primarily because I registered as a Republican this year to vote in our local Republican primary. Otherwise, as far as I’m concerned our current two party political system is a major mess. (To learn more about my collaborative views in this regard, I refer you to Enough! — Federalist No. 86). One of my long-standing concerns about government is that public policies should always be based on principle — ideally sound principles — rather than personality issues and considerations. Unfortunately, many policy makers have completely lost track of this concept. This year’s presidential campaign was very short on principle or policy, and all about personalities. . . and labels. It was a political circus. Next, my considered view of Hillary Clinton: From my perspective, her record speaks for itself. It is a record of long-standing corruption, coupled with a steady march toward increasing socialism, governmental micromanagement and control, and loss of individual freedom and liberty. I have always had very serious concerns about what she would do with even more political power. And a few words about Donald Trump: I have always acknowledged that Donald Trump is a very smart, capable, successful man. He’s a capitalist, seems to have high risk tolerance, and has been very successful financially. I acknowledge and appreciate those attributes. Moreover, he’s not a good ol’ boy insider politician. Better yet, he’s not a politician at all. And I don’t believe he’s a phony. He was not willing to be a phony, only talk in politically-correct terms, and say only what he thought everybody wanted to hear just to get elected. And I really appreciate that. But does all that mean that he will make a good president? Not necessarily, but I simply don’t know. This is what I do know: Of “known” entities, the current United States Federal Government is the most powerful temporal entity in Earthly existence and in the history of Earthly existence. Likewise, of “known” positions, the office of the president of the United States is the most powerful “known” position on the planet. And with that observation, I return to principle. I return to some of my own personal bedrock principles. In situations like this I virtually always return to arguments and considerations at least as old as the Federalist/Anti-federalist Debate, which I think most people today are essentially clueless about, and give very short shrift, but in my view is still very fundamental to these important issues. When the new Constitution was adopted by the Philadelphia Convention in September 1787, Ratification by the states was by no means certain in 1787. Indeed, many people at that time opposed the creation of a federal, or national, government that would have power over the states. . . . The Anti-Federalists believed that government generally should be founded on principles of self-government and self-sufficiency. They believed in a sustainable and self-sufficient society of productive, self-governing citizens, including farmers, tradesmen, and businessmen, who would participate as citizen lawmakers in representative government at all levels. Although the states would be part of a sovereign union, they believed each state should have a sovereign, independent government. Anti-Federalists also felt that increasing urbanization, commercialization, and centralization of power would lead to a number of problems in society, including eventual tyranny and oppression. Although ultimately compromises were made and some degree of balance was struck between the two sides, it was the Federalists who were most successful in having their goals met in the new Constitution. . . . In making their arguments, Anti-Federalists claimed that . . . in the new Constitution, the president was given too much power and the Congress had too few representatives for too many people. They also protested the lack of a Bill of Rights enumerating and protecting certain basic, inalienable rights that existed in the laws of nature and preexisted and preempted the Constitution or any other man-made legislation or entity. . . . When Rhode Island ratified the United States Constitution in 1790, it effectively decided the Federalist/Anti-Federalist debate. The discussion lives on, however, and now, more than two hundred years later, we face many of the same arguments that were contested then. The Tenth Amendment to the Constitution asserts that the states and the people reserve all powers not explicitly granted to the federal government. The Fourteenth Amendment, which was added after the Civil War, declares that no state can pass legislation infringing upon the constitutional rights of individuals, and that no individual can be deprived of life, liberty, or property without due process of law. The conflicts between these two amendments make up much of our political debate today. In the Constitution itself, the Supremacy Clause states that the Constitution is the “supreme law of the land” and must be upheld even if state laws or constitutions contradict it. The Commerce Clause has been interpreted and applied so broadly that today virtually nothing falls outside its scope. How do the Tenth and Fourteenth Amendments relate to these clauses? . . . . The unintended consequences of those developments leave open the question of how, and by whom, this country is actually best governed today. 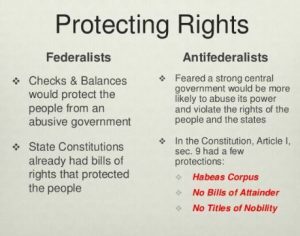 From my perspective, 225+ years later, history has proven that many of the Anti-federalist concerns seem to have been spot on. And while there have been some in this country who were thrilled at the prospect of handing all of that power to Hillary Clinton, they were devastated at the prospect of handing it to Donald Trump. And vice versa. What does that tell you in terms of where we stand in this country when it comes to principle versus personality? From the outset I have had concerns about the possibility of Donald Trump as a president, and my biggest concern is one of the same I had about Hillary Clinton — what he will do with that much power. If Alexander Hamilton had ever been president, we might have had a good precursor to what a Trump presidency might be like. According to Sam Levin’s story, what I said was that initially (before participating in the study) “I was kind of more undecided, but as I looked at it … I was persuaded to think [Trump’s] a really bad choice.” I’m not sure that’s exactly what I said, but there’s no question I had concerns, and my concerns had certainly become reinforced and multiplied by the material I was consuming as part of the experiment. Although I had some pre-existing concerns, there is no question that I was further influenced by the liberal newsfeed I agreed to consider. Given the nature of the material I was looking at, the only other alternative would have been to say “I’m going to be unwavering in my opinions and convictions and nothing I see or consume can change what I think.” How much sense does that make? So it’s biggest influence on me was to further question Trump’s temperament to the point that it ultimately influenced my voting decision. Interestingly, nothing I saw in all the “liberal” information I consumed instilled in me any greater confidence in Hillary Clinton. But the vast majority of their efforts were focused on dissing Trump. And once again this brings me back to the question of principle versus personality. My actions with respect to the election were also based on past personal experience. I am an experienced political activist/strategist. I have been very active in local politics, not as a politician or office-holder, but as a political activist/strategist, seeking, among other things, to influence public policy, and to hold governmental officials accountable. They make the rules. Why shouldn’t they be required to play by their own rules? But I have learned that getting elected does strange things to people. I have seen it over and over again. 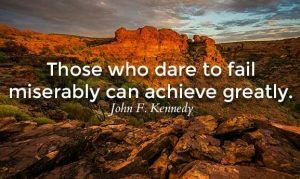 Most recently I was actively involved in the election of a local mayor and a local county commissioner, both of whom turned out to be major disappointments. Some say that the real working definition of a “Pessimist” is simply an “Optimist with experience.” That is essentially my experience. I have see what a little so-called “power and authority” can do to people. I am endlessly amazed at how quickly elected leaders and policy-makers are willing to throw principle out the window, and start governing and making policy based on personality issues, factors and considerations instead of sound principles. And once again, this brings me back to the question of principle versus personality. Based on what we know of Donald Trump and his temperament, setting all other considerations aside, is he more likely to govern and make policy based on principle or personality considerations? If there is one thing I never want to be it is closed-minded. That is why I am willing to consider other information. That is why I often seek to have my own ideas and opinions challenged and tested. I have no interest in operating in an echo chamber where only interact with people who think like I do and everyone continually reinforces my views. That is one of the reasons why I was willing to participate in The Guardian experiment. Consequently, I went into the Study open to the possibility that my views could be swayed one way or another in some way by the liberal material I was going to be provided. I wasn’t going into it with the position that I wasn’t going to allow anything to change my views. What would be the point of that? In fact, isn’t that exactly how and why the Mainstream Media has been so effective at swaying public opinion? 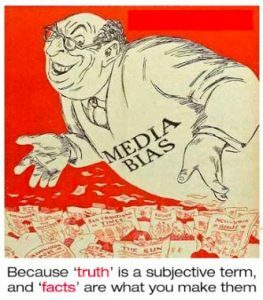 If the liberal views of the MSM can sway the views of someone like me, then is it any wonder that MSM has been so influential in swaying public opinion in this country? 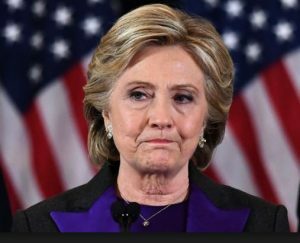 One of the biggest ways that my views had long since already been fundamentally swayed by the MSM was the fact that despite my serious, insurmountable concerns about Hillary Clinton, I had essentially resigned myself to the foregone conclusion that she would ultimately be elected. Isn’t that why the MSM was so shocked by the outcome of the election — because they had come to simply assume that there was no way she could not be elected? But that doesn’t answer the question of why I ultimately chose not to vote in the presidential election. Like many so-called “Conservatives,” I was predisposed to vote for anyone but Hillary Clinton, and that never changed. But the question was who best to vote for? Obviously, in our two-party system there was only one other candidate who could possibly be elected and that was Donald Trump. But based on my pre-existing concerns about Trump’s temperament, and giving that much power to any one person, the information I had consumed as part of The Guardian experiment caused those questions to grow sufficiently in my own mind that I ultimately chose to abstain and not cast a vote in the U.S. Presidential election. I could have cast a “protest” vote. I could have voted for one of the third-party candidates. Based on my libertarian leanings, I was actually inclined to vote for Gary Johnson — until I learned that his running mate, Bill Weld was a proponent of gun control. Although I do not consider myself to be a “Constitutionalist,” after learning about Darrell Castle’s government funding and tax plan, I was impressed and seriously considered him. Because I consider myself to be a political independent, I could have also voted for Utah independent candidate Evan McMullin, who made a strong showing in the Intermountain West. In the end, however, I realized that the only actual effect voting for one of the other candidates might have would be to split the vote. Consequently, ultimately I decided I didn’t know enough about any of them. All things considered, I did not feel comfortable voting for any of the presidential candidates, so although I voted in other state and local elections, I chose not to cast a vote in the presidential election. At this point, in retrospect, in many ways I question my decision. Isn’t that often the case the morning after? As I have said before, based on all the liberal news I had consumed, as part of the The Guardian experiment and otherwise, over the course of the past year I had often stated that I wasn’t convinced that the whole system isn’t so rigged, so fixed, so stacked, that anyone other than Hillary Clinton could possibly be elected. Obviously I was wrong about that. I would not necessarily say that I was shocked, but I was as surprised by the outcome of the presidential election as anyone. Unlike many, however, I was pleasantly surprised. 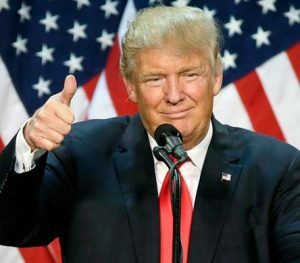 Although I had serious questions about Donald Trump, and I still do, I think there is at least a 50% chance that he will make a decent president — if he can keep a tight rein on personality considerations and govern and make policy based on sound principles. Much of Trump’s success and effectiveness in office will depend on the people he surrounds himself with — and the extent to which he is willing to listen to them. Although my evolving concerns brought me to the point that I did not feel comfortable voting for Trump, I could never have brought myself to vote for Hillary Clinton, who I had much bigger concerns about — and even bigger concerns about the people she would surround herself with. So at this point I am happy to have been wrong about the outcome of the election, and I will be even happier if I am wrong altogether about my pre-existing concerns about Donald Trump. Where does Article V fit into your analysis? As outlined to some extent in Enough! — Federalist No. 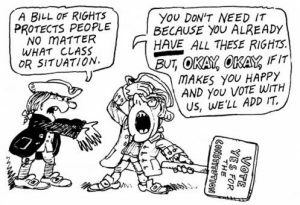 86, a collaborative effort I participated in a few years ago, at that time I was pretty open-minded to the prospect of an Article V convention to “straighten-out” a few things. Ultimately, however, given the way things have evolved in this country, I have been persuaded by concerns about a “runaway” convention. Ultimately I have essentially come to embrace the view expressed by the late U.S. Supreme Court Justice Antonin Scalia who, if I understand correctly, was once a proponent of a convention and/or further amendement, but ultimately changed his position and said something to the effect that “this would be the wrong century to start fiddling with the Constitution.” That’s essentially my position at this point. I believe, If you are prepared for an Article V Convention, you might as well be prepared for Civil War as well. However, I don’t believe you get to complain about Trump getting the Presidency, if you did not vote. Then you would be joining the ranks of establishment Republicans, (RINO’s) or bonehead, “Never-Trumpers”, who did not provide us with bona-fide Conservative Republican candidate to begin with.